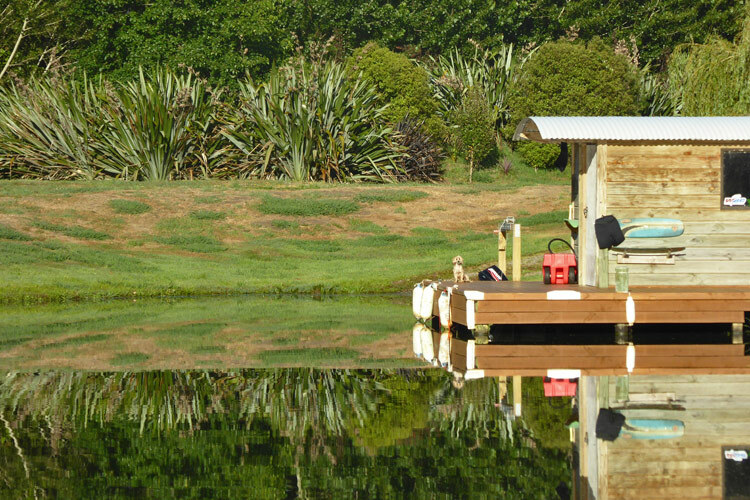 Lake Inspiration is a man-made water ski lake located just north of Otaki in the Manawatu region. It was conceived by Fred Groen and David Pritchard (the land owner) and it was constructed by Pritchard Group (civil works division) over a 12 month period with completion in 2003. The lake is about 800m long and 50m wide, with three islands and seven individually titled residential lots around the outside perimeter. 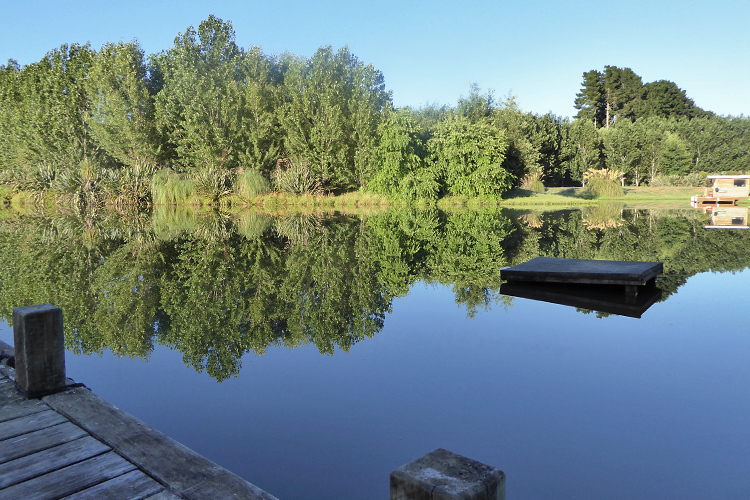 It has a common area with a communal boat ramp at one end and has been specifically set up for water skiing with a barefoot jump and surveyed permanent slalom course. The lake edges are profiled with a 10/1 batter to minimise wake bounce back from boat operations. The lake is quite shallow, mostly about 2m deep, which results in water temperatures getting up to 30deg C over the summer months. 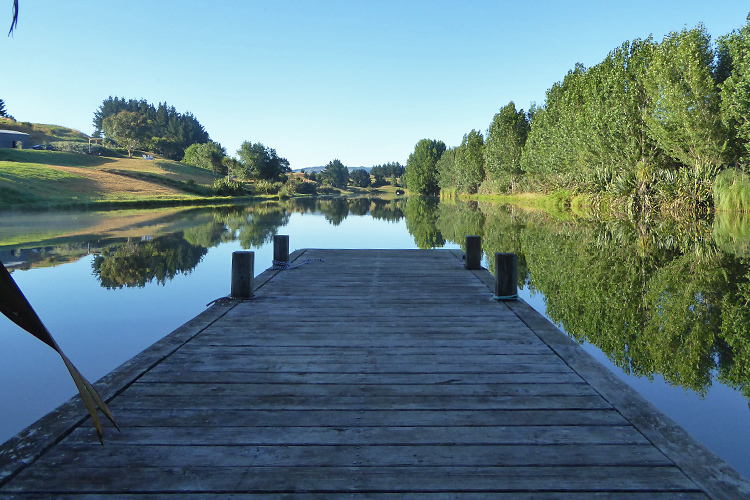 The lake is fed by water mainly from nearby Forest Lake’s (Lake Waitawa) via a canal and it has one outlet pipe which flows out to the Waitohu Stream via farmland drainage areas. The lake started to get weed growth after 2/3 years because of the water inflows from Forest Lakes with canadian pond weed and hornwort becoming established. 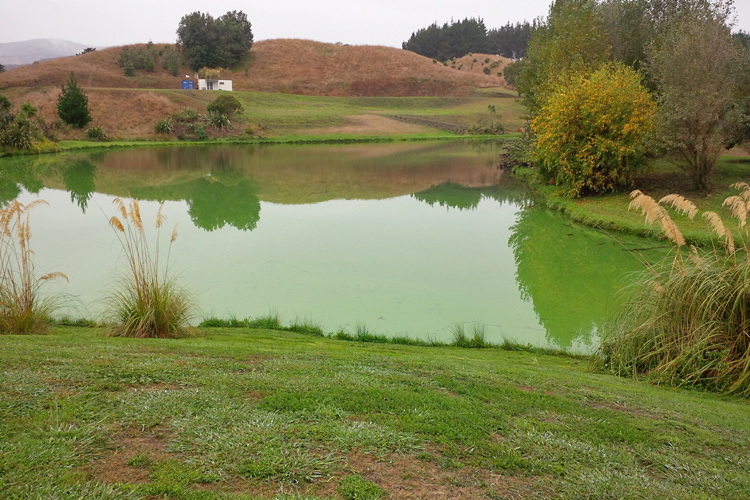 The owners treated the weed periodically with chemicals, which, whilst controlling the level of weed, resulted in a layer of deed weed /nutrients being dropped to the lake bottom. 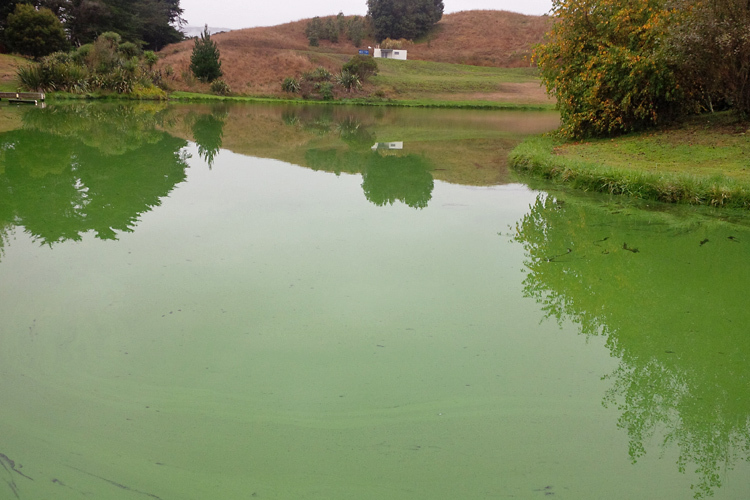 By about 2010 the lake was starting to become susceptible to algae blooms over summer when the sunlight warmed up the lake. 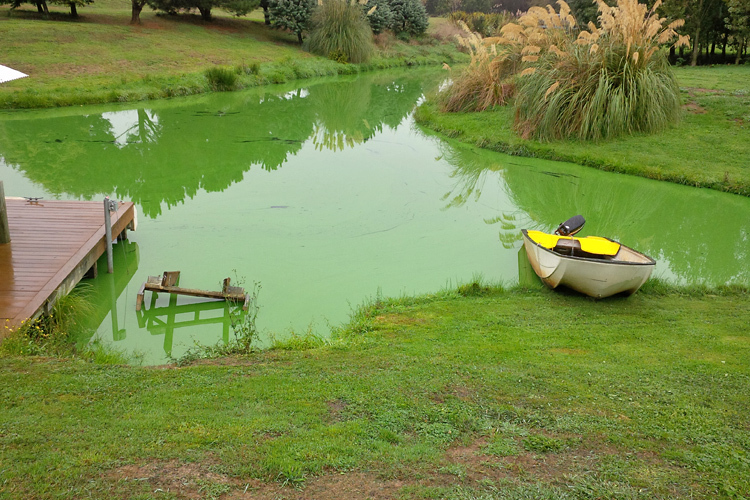 The owners decided to seek an alternative solution to the weed problem knowing that the chemical application was becoming increasingly more difficult and the build-up of the nutrient sludge would only continue. 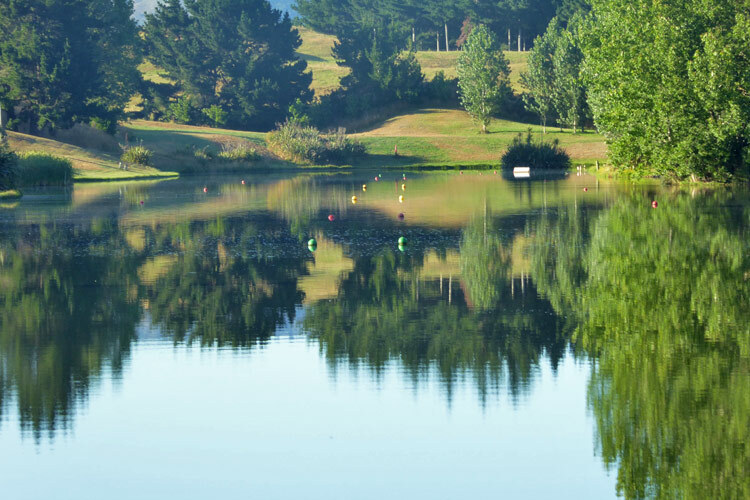 After a protracted resource consent application process the owners obtained consent to work with NZ Waterways Restoration to put White Carp into the lake as a test programme. These fish only eat weed and do not breed in NZ conditions so the process and outcomes could be measured. The fish were put into the lake under strictly controlled conditions in October 2012 under a five year management arrangement. Almost immediate effects were apparent and over a period of 18 months the lake was cleared of weed and has remained clear. 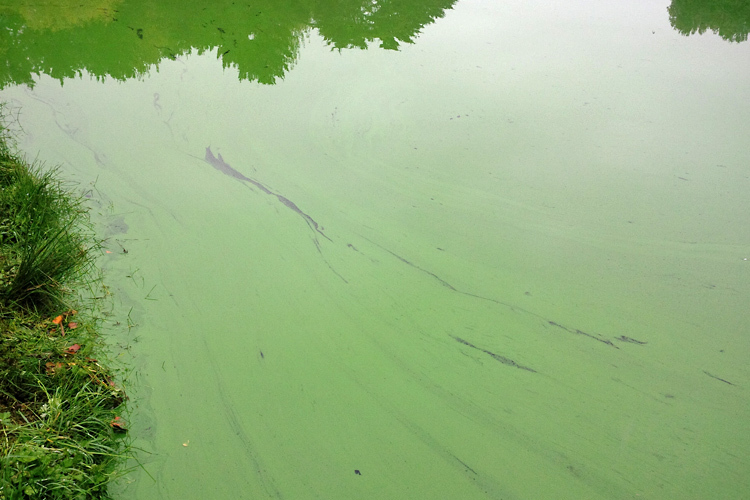 However the historical effects of the nutrient sludge on the lake bottom and continued nutrient inflows from Forest lakes (which has dairy land adjacent) meant that the algae blooms were becoming more frequent and intense. 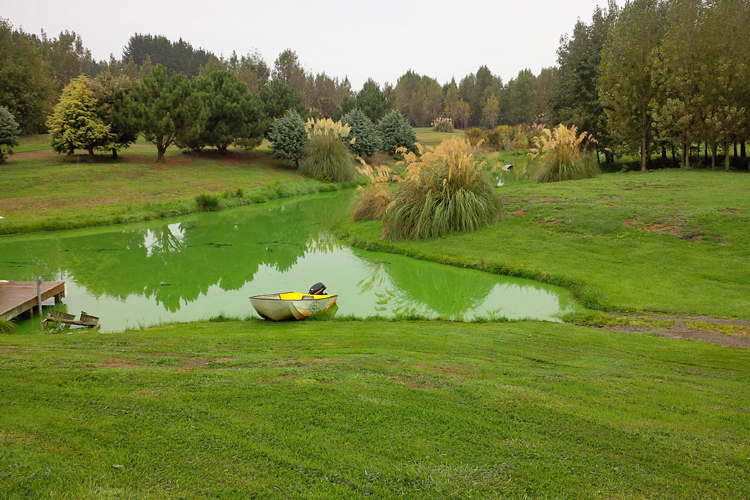 The owners entered discussions with Parklink in early 2014 seeking a biological solution to the algae problem. 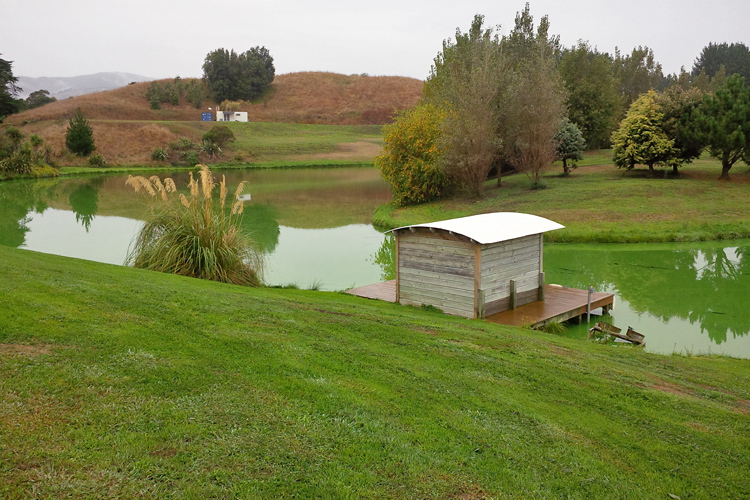 After a period of research, testing and liason with Parklink and NZ Waterways (to ensure continuity with the fish arrangement) a three year programme was designed around getting rid of the sludge on the lake bottom and controlling the levels of nutrients in the lake. The solution included distribution of packs of biological products onto the lake floor to digest the organic sediment and a regular programme of injecting bacterial cultures around the lake. 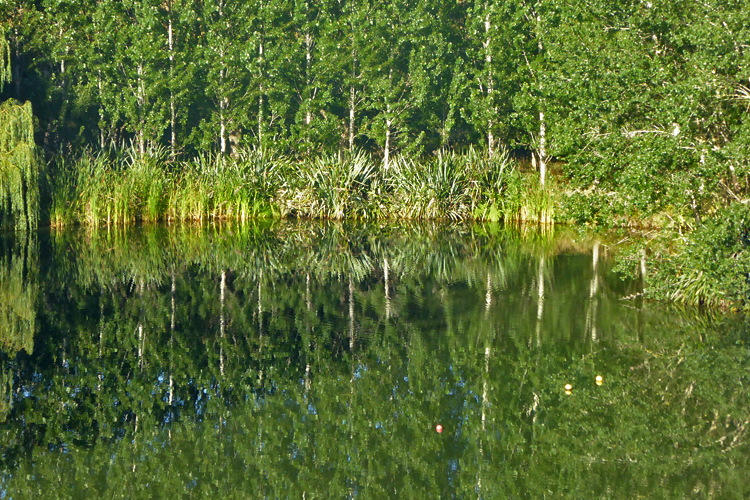 The programme commenced in October 2014 and results to date have been encouraging with water clarity improved and only one outbreak of algae late in the 15/16 summer in March/April after a sustained period of hot weather where the lake was consistently over 30deg C. We are continuing to work with the Forest Lake owners to get the Forest Lakes water treated and minimise its effect on Lake Inspiration in conjunction with other measures to mitigate the nutrient inflows into the lake.